My name is Michelle and I'm excited to welcome you to our newly redesigned site - with a cleaner style, improved navigation, and quicker access to all of your well loved resources! 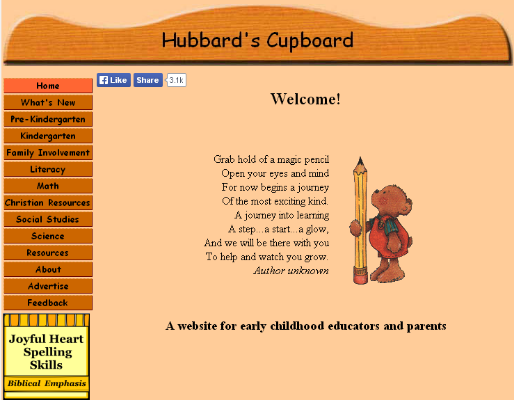 Hubbard's Cupboard is an educational website that began in 2000 while I was still teaching Kindergarten. My goal was to share ideas and printables with other early childhood educators and parents. Gradually, over the years, after I resigned from public school teaching and became a stay at home mom, I continued to add resources to the site as we engaged in more and more activities as a family and created learning experiences for our own children. I pray that you'll find ideas and printables inside Hubbard's Cupboard that will assist and encourage you in your role as a mom, teacher, child care provider, or home educator. 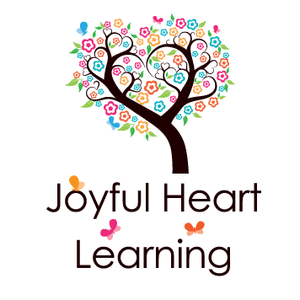 May these free resources be a blessing to you as you travel on your own joyful journey into learning with your children! We are a Christian missionary family who trusts in Christ alone for our salvation, highly values the inherent Word of God, and desires to see others come to know and love Jesus as their Lord and Savior as well. I am currently home educating our five precious children, ranging in ages from 8 through 16 years of age. Each are sweet gifts from God and I feel privileged to have the opportunity to be with them, train them, enjoy them, and learn alongside them each day. I am married to a wonderfully supportive, patient, encouraging, God fearing man (who also willingly serves as our technical support at the site). I am thankful to have been walking by his side for 25 years. If you wish, you can share in my joys of motherhood, schooling, and missions at my blog - Joy to the Heart. Thanks to all of you who have visited Hubbard's Cupboard and have passed along the link to others. I also want to thank everyone who has thoughtfully sent emails about the site. Your encouraging words, thoughts, and sharing of how you've used ideas from Hubbard's Cupboard for your own class and children have been greatly appreciated! It makes me smile as I read each one. Thanks! If you find ideas and information that is useful for you and your children, please give all the praise, glory, and honor to the Lord Jesus Christ. I thank Him for the time, resources, and desire for making this website possible.